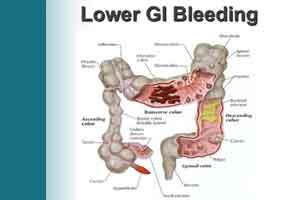 Efficacy for upper GI bleeding with current endoscopic and medical therapy is good with about 80% to 95% success in hemostasis and prevention of rebleeding.Hemospray is a spray for upper/lower gastrointestinal bleeding of any etiology works by forming a mechanical barrier over the bleeding site. According to information from Cook Medical which has developed the product the powder absorbs water, then acts both cohesively and adhesively to form that barrier. It is currently approved in Canada as well as in Mexico and in some countries in Europe, Asia, and South America but not approved for this indication in the United States.Dr.Alan Barkun, professor of gastroenterology at McGill University, in Montreal & associates conducted a pilot study and have found that the spray is also effective at stanching blood loss from malignancies in the lower GI tract. Patients with a known GI malignancy in either the upper or lower GI tract were randomly assigned at urgent endoscopy to receive the spray or standard approaches, such as endoscopically administered thermal contact. Immediate hemostasis was achieved in nine of the 10 patients treated with Hemospray versus four of those who received standard of care (P=0.057).Of six patients crossed over after failing to achieve bleeding on standard of care, five experienced hemostasis (83%). No patient crossed over to standard of care as a result of failure to achieve hemostasis on Hemospray; the only patient who failed to achieve immediate hemostasis on Hemospray died of an aneurysmal rupture of the inferior mesenteric artery during endoscopy before additional intervention could be performed. Hemospray appeared—numerically, at least—to be superior to the standard of care for several potentially meaningful outcomes, such as the percentage of patients requiring angiography and hospital length of stay. In addition, 11% of patients receiving Hemospray experienced rebleeding versus 60% of those receiving the standard of care. However, the study was too small for meaningful comparisons of these outcomes, Dr. Barkun said. “Hemospray can be added to a list of topical treatments that are sprayed with a catheter onto GI lesions to control active bleeding and prevent early rebleeding until more definitive treatment is utilized,” said Dennis M. Jensen, MD, professor of medicine at the David Geffen School of Medicine of the University of California, Los Angeles, and director of the CURE Hemostasis Research Group at the VA Greater Los Angeles Healthcare Center. These include tissue glues, clotting factors, ferromagnetic tamponade and vasoactive drugs. But he cautioned that the limits of these therapies deserve attention.